While this year began with plenty of rumors of the Sony Xperia Z5, the Xperia line is currently discontinued. Since Sony is no longer selling Xperia tablets, here are some excellent Sony tablet alternatives. This guide will help you discover all the features of these highly rated tablets and compare them with a useful comparison table. Whether you own an Xperia tablet and are looking to upgrade or just looking for a high-quality tablet from Sony, these alternatives will give you all the features you could expect at affordable prices. 1. Why Can’t I Buy a Sony Tablet? Sony offered a range of tablets, from Xperia Z1 to Xperia Z4. There were rumors in early 2018 that the company was designing the Xperia Z5 and even Z6. However, there have been no official announcements or tablets released since the Xperia Z4 in 2015. This tablet is still on the market in some locations, but is no longer being manufactured or sold by Sony. We’ll look at the specifications of this reliable tablet, but due to the limited support for an older model, we’ll take a closer look at 2018 alternatives. 2. What Are the Specifications of the Sony Xperia Z4 Tablet? The Sony Xperia was a premium tablet when it was first released in 2015, and still holds up favorably to current tablets. There are a few key factors to consider when looking for a great Sony tablet alternative. With a 10.1-inch screen, the Xperia Z4 is considered a large tablet. It includes a 2560 x 1600 megapixel display, with excellent color and brightness. For video calling and taking pictures, it includes an 8.1-megapixel rear-facing camera, and a 5.1-megapixel front-facing camera. 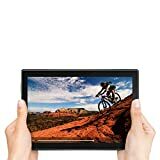 While some tablets in 2018 offer higher resolution, this tablet has an impressive display, which is perfect for playing games, watching movies, and taking great pictures. There’s plenty of power in this durable tablet. It includes 3GB of RAM and 32GB of memory. These specifications rival some mid-range laptops, so you know you’ll be getting a powerful machine. You can also stay connected anywhere with 4G/LTE connectivity and Wi-Fi. 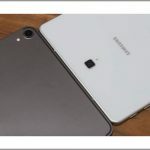 A unique feature that’s lacking with tablets on this list is water resistance. The Xperia Z4 is water resistant, which is great for outdoor use or accidental spills. There’s nothing worse than spilled coffee on a new tablet. Thankfully, you won’t worry about that with this durable tablet. 3. 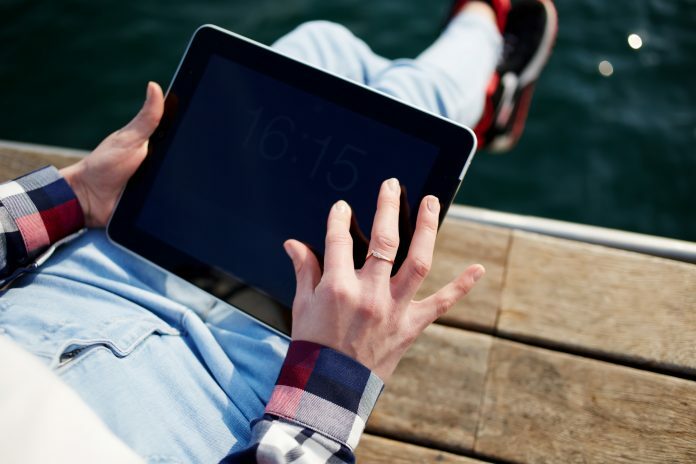 What are the Most Important Features of a Tablet? When shopping for a great tablet, there are several important factors to consider. First, think about your needs. Are you looking for a gaming device, a fast tablet to search the web, or a storage device for all your music and videos? While every tablet can perform these functions, some are more specialized than others. Here are some important specifications to compare. A bigger screen size is a great feature for gaming, watching movies, and typing. You want great resolution, but don’t be tricked by pixel counts. 2560 x 1600 pixels won’t look the same on a 10-inch screen and an 8-inch screen. Smaller screens can get away with less pixels and still offer a crystal-clear image. RAM and memory can be confusing, and some customers often mistake the two. RAM is the Random Access Memory of your computer device. While there are several factors, RAM is a good way to determine how fast your computer will process information, load pages, and handle fast-action games. Memory, or flash memory, is how much hard drive space you have to store apps, music, and videos. There are far more specifications to compare tablets, but these will offer you some basic guidelines to determine which tablet will be the best alternative Sony tablet for you. Each tablet on this list was chosen for two reasons. First, each one is a best seller and highly rated in 2018. They have excellent customer reviews, great professional ratings and offer a great balance of important specifications. Second, these tablets mirror some of the high-quality features of the Sony Xperia Z4 tablet, so they are perfect choices if you are looking to replace your old Sony tablet. We won’t tell you the best tablet to buy, because choosing the perfect tablet depends on your personal preferences. Use the information in the FAQ list to compare these tablets and choose the best model for you and your lifestyle. 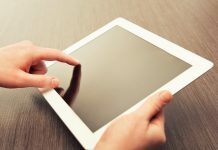 There are a wide range of prices available for tablets, so consider the features you feel are most important. Typically, larger screens with higher resolution cost more, but the RAM and storage capacity are also large factors. Some tablets come with several options, so each option has a different price point. Tablets on this list range from $100 to $300. Choose an inexpensive tablet if you are looking for a bargain on a 10-inch screen with reasonable storage and resolution. However, an inexpensive tablet won’t offer the amount of RAM or durable design of a more premium tablet. 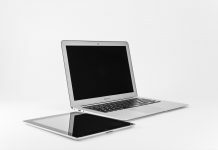 High-end tablets are easy to use, have excellent RAM and storage capacity, and typically feature additions like great cameras, durable cases, and innovative operating systems. 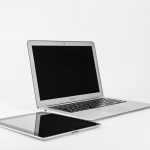 The price range on this list represents some of the most affordable 10-inch tablets on the market. There are far more expensive tablets in this price range, so consider any of these if you want a competitively priced tablet with a large screen. The Amazon Fire is a great way to get a 10-inch screen for the least amount of money. The RAM and resolution aren’t that great, but it offers some useful additions. First, the Fire HD 10 is equipped with Alexa, so you can use it for all kinds of convenient voice-recognition tasks. Whether you need to set an alarm, search for a recipe, or play music, you can do it all from across the room and hands-free. 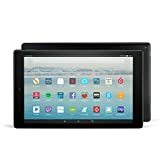 Because it’s designed by Amazon, this tablet has a lot of great connectivity to your Amazon Prime account and Kindle eBooks. It uses Amazon’s operating system, Fire OS, which is very similar to Android. You can only use Amazon’s web browser, called Silk, which may take some adjustments. If you are comfortable with your current web browser, you may not like being restricted to this single browser. You can choose to purchase the Amazon Fire HD 10 with or without Special Offers. These unique offers are discounts, savings, and advertisements that appear on your lock screen. Some customers find them very distracting, while other customers feel they are an added bonus. In order to remove the Special Offers, you’ll need to pay $15. Choose this tablet if you are looking for an affordable and easy-to-use option and you don’t need extra amounts of RAM, storage, or resolution. The Samsung Galaxy Tab A is a sleek and stylish tablet that looks remarkably like a large smartphone. It offers the same functionality and specifications of the Amazon Fire HD 10, but it’s more expensive. Customers feel the colors are more bright and vivid than other tablets with similar resolution, and the resolution is higher than similarly priced tablets, like the Lenovo Tab 4. The 8-megapixel camera is great for taking photos, but the 2-megapixel front-facing camera lacks the clarity of a good video calling device. Customers love the comfort and adaptability of this tablet. It’s a great choice if you are an avid Samsung user, and it connects easily to your Samsung Smart TV. While its a safe and reliable choice, there are few features that make it stand out. If you want a steady, mid-range option with good resolution, this is a great choice. While high-end Lenovo tablets, like the Lenovo Yoga Tab 3, offer excellent features and a competitive price, the Lenovo Tab 4 feels like an expensive option for its average specifications. It offers even less resolution and storage space than the Amazon Fire HD 10, and doesn’t have any of the unique features to compete. It’s priced the same as the Galaxy Tab A, but offers far less storage space. One saving feature of this tablet is the quality of the optional keyboard. It has a reasonably comfortable keyboard attachment, making this an attractive option for a low-cost 2-in-1 computer. This tablet is an effective Android option, but there are more convenient options for this price. While the iPad can’t compare to the iPad Pro in terms of high-end functionality, it surpasses almost every tablet on this list. It’s more expensive than any other choice on this affordable list, but offers the most resolution of these tablets. It has a slightly smaller screen, however, with only a 9.7-inch display. If you aren’t familiar with Apple iOS, it’s a blessing and a curse. Many customers love the convenience and intuitive features of Apple’s operating system. If you own an iPhone or Apple computer, you’ll pick up this very quickly. However, if you only use Windows computers and Android tablets and phones, Apple can seem unusually designed. It does store plenty of music and games with 32GB of storage. 2GB of RAM is standard on this list, but low for the price range of the iPad. The 8-megapixel camera will allow you to take great pictures and video. Customers love the balance between inexpensive tablets and the high-end iPad Pro. Choose this tablet if you want a premium design and quality, but aren’t ready to purchase a truly high-end model, like the iPad Pro. This powerhouse was designed to compete with the iPad Pro and other top-of-the-line tablets, but costs less. It’s the second most expensive tablet on this list, but surpasses the iPad in almost every area. The resolution and screen size are the same, but it has an impressive 4GB of RAM and 64GB of storage. You’ll be able to play almost any game, listen to tons of music, and watch videos without fear of slowing down. The resolution is excellent, and the screen is only slightly smaller than other models, like the Galaxy Tab A. Some customers have had issues with a less responsive touch screen and damaged products. However, most customers agree that it is the best value for a premium tablet. 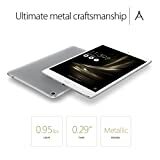 If you love the Android operating system, and you want a tablet that will beat the RAM and storage of the Xperia Z4 tablet, this is the choice for you. There’s never been a better time to buy a 10-inch tablet to replace your Xperia Z4 tablet. Whether you love your old Xperia tablet, or you’ve always wanted a Sony tablet, the alternatives on this list offer similar or better features, price, and durability. Use the helpful comparison table to compare each tablet, and determine which one best fits your lifestyle. If you want a premium tablet that offers better specifications than the Xperia Z4, consider the Asus ZenPad 3S 10. However, if you need an affordable device that still offers a large screen, choose the Amazon Fire HD 10. Whichever option you choose, you can be confident that you’ve purchased one of the best Sony tablet alternatives in 2019. Whether we see a new Xperia tablet by the end of the year or not, you can’t go wrong with choosing one of these other brands instead.